Why Alexa Rank Is Important ? Visually, Alexa rank is more important to me. Every day at the beginning of my work, I first see how much my Alexa rank is lowered. Better to say, the lower Alexa rank means the higher value of your site. When I see my Alexa rank is lower than the previous, I become normally really happy. Because the higher Alexa rank means my site is being viral, the traffic amount is increasing, the whole engagements are more, visitors like my pages and many more positive sides that I guess. 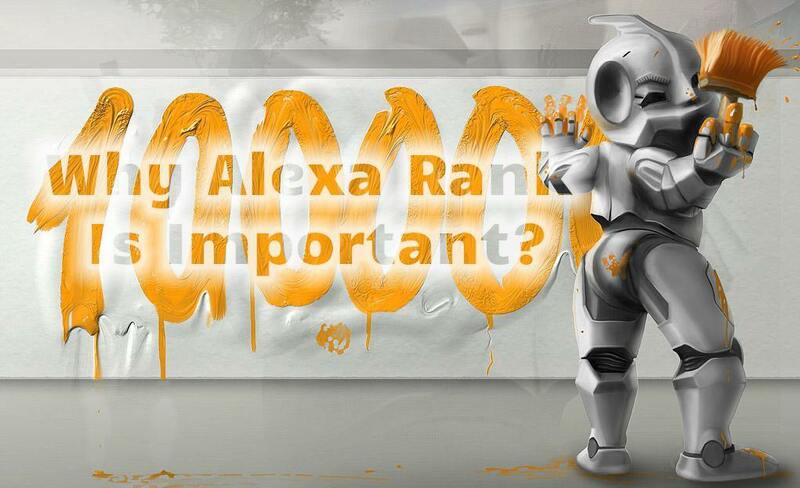 However, today I mainly tell you some benefits of Alexa rank, for those it is more important to the webmasters, advertisers and online publishers. It is just a parameter to give a standard of a site by Alexa.com, a sister concern of Amazon. The users who install the Alexa toolbar, only can see the Alexa rank. It is measured based on the traffic. “Page Views” and “Reach” are the main measurements of this calculation. Page Views means- how many pages a particular visitor surf in a particular time. The Reach means the number of the users who visit your site in a single day. Alexa rank also shows you the geometric “Page Views” and “Reach”, and an average measurement over a particular period (three months). You can use Alexa rank traffic as your “Competitive Intelligence Tool” to find out the Alexa situation of your competitors. Put your competitor site’s name on the “Compare Sites” and compare your marketing involvements with your competitors. It will help you to discover the best marketing ideas to go ahead ofyour competitors. The higher Alexa rank, the higher value to the advertisers and webmaster. When they see your site’s Alexa rank is higher, they are more likely to deal with you about their advertising programs. Besides, if you want to deal for a guest or website author, they want to know the Alexa rank. If your rank is good, they are willing to work with you. Actually, the third parties give a standardfor your site by visualizing the Alexa rank. Personal sites or blogs also get a good consideration and they are ranked in the same value like the other websites. Alexa gives a distinctive mark (*) for personal pages that will increase the importance of your site. Alexa rank provides you with lots of information about your site based on different categories. This information basically helps you to figure out a new guideline for the improvement of your site, like SEO, daily site traffic, the reconstruction of your site etc. The benefits described above, you may get by analyzing Alexa rank, but it is not so easy to improve your Alexa rank over a night that can determine your site’s value to others. There are also many efforts by that you can gradually improve your site’s Alexa rank, like regular posting, increasing engagement on your site, creating good backlinks, encourage readers to your site and many more tricks.